Here’s something that every supermarket shopper wishes was currently available. 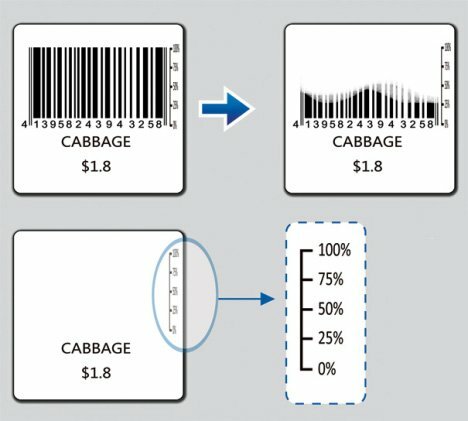 The Fresh Code is an intelligent barcode that doubles up as a graph, indicating the freshness of the vegetable that you’re checking out. The less fresh it is, the less the barcode is displayed, and when you don’t see a barcode, you’ll know that it’s not worth buying. It’s a cool concept, not to mention that when the barcode has disappeared, the cashier won’t be able to tag it to the point-of-sales machine, so they can’t really force you to buy old fruit or vegetables either. Neat huh? What I think would be really cool is if the price went down with the age of the product automatically.